Long distance relationships are on the rise as more online daters, college students, military families and people who travel for work make a commitment to someone living far away. 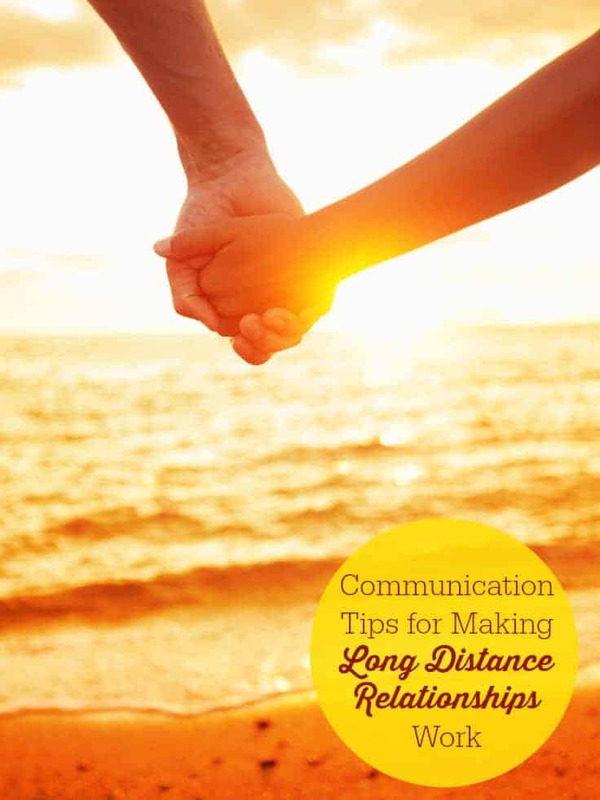 Although, long distance relationships present unique challenges because couples don’t see each other face-to-face as often, they can still develop healthy relationships despite the distance. 1. Discuss your expectations. It’s not uncommon for people to have very different beliefs and desires about how to communicate (phone, text, email, video chat) or how often to be in touch (4-5 times a week, every day, every couple hours) so it’s important to discuss your needs and expectations early in the relationship. If one of you is a frequent communicator and the other one isn’t, discuss how often you want to talk, what kinds of information you want to share and what communication method you prefer, and then compromise to find a happy middle ground. 2. Pick up the phone. Despite all of the ways to give quick updates on your life, it’s important to spend time talking on the phone to find out how your partner is doing and develop a more intimate long-distance relationship. When you talk on the phone you should feel free to share both the little things and the significant events in your life. Many couples schedule time to talk so they won’t miss each other’s calls. 3. Mix things up. Why not change up the way you communicate and surprise your partner with a special phone call, email, text, instant message, video chat or a hand written letter give him or her something they weren’t expecting. 4. Keep talking. Don’t allow texting or Facebook updates to replace direct communication with your partner. Technology is a great way to communicate quick and brief information about your day, but one of the best ways to develop closeness is to make sure you talk one-on-one to share more color and context about what’s going on in your life. Be proactive about picking up the phone, and let your partner know the times that you’d prefer to have a real conversation. 5. Do things together. Find creative ways to do things together even though you’re apart, such as reading the same book and then discussing it or watching a TV show or movie while on the phone or catching up afterward. Most of the dating period that my husband and I had was spend long distance, and I can assure you that Dr. Michelle is dead on here. I would add that something that was very very helpful to us was using webcams with MSN messenger, skype or similar programs. We could hook up headsets and talk while actually being able to see each other live. Not being able to be in person with the other is of course the hardest part of long distance relationships, and the webcam helped to alleviate that. Another thing we did was take lots of pictures of us and our surroundings, or of activities and places we were going. Seeing pictures of your significant other is a real day brightener. Also, consider spending time playing games online together, its a fun way to feel like you are doing something together. We would play games while talking via a mic and headphones, and using a webcam, and it was a great deal of fun. Lastly, think up creative ways to show how much you love him. Send him free e-cards from Hallmark, a link to a favorite love song from youtube, a sweet handwritten note in the mail, or a text message to start his day off right. Your trust in, and devotion to him will make the separation that much easier on him (and you).